Home Back & Spine Put a Patch On It! If you have back pain, you’ve probably tried everything under the sun to get relief. Pain Resource wants to bring you innovative solutions that may help where other treatments have failed, or offer you more relief in combination with therapies you’re already using. 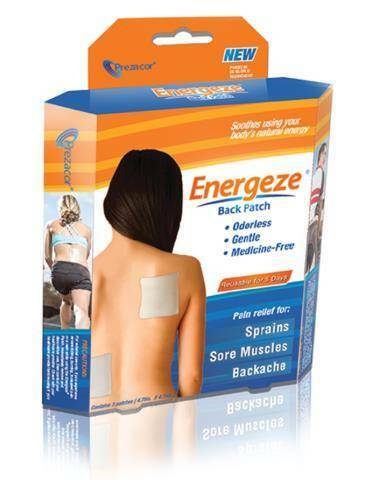 The Energeze Patch may be one of these solutions for you. The patch, which medical-device company Prezacor launched in April, features an embedded electrode that absorbs electrical waves emitted from the nerves on the spot of the pain. 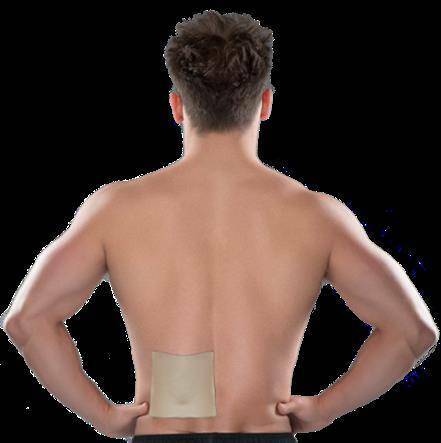 The electrode in the Energeze Patch, which acts like a sort of antenna, not only receives the energy from the pain site but releases a lower-level, healing energy back into the area. Likening the patch to the device in cars used to pay tolls as you drive through a toll booth, Energeze “picks up electrical fields at a high frequency when you’re in pain and starts [radiating back] an electrical field at a much lower frequency,” says Jim Pachence, president and CEO of Newtown, Penn.-based Prezacor. That low-frequency energy returned to the pain spot calming, healing effect, Pachence says. “What’s happening is that it’s triggering a slightly different response to the nerve endings, and that triggers the relaxation response,” a pleasurable sensation like what you feel during and after a wonderful massage. Though Energeze has been tested primarily for relief of back pain, it can be used by most people on any part of the body that’s aching. “Some people will feel a tingling effect that’s not unpleasant,” says Pachence, who says it may take one to two hours before users feel relief. You can leave the patch on as long as you like. “It does warm up a little bit maybe a half-degree increase,” he says. People with an electrical medical device such as a pacemaker or an implant, pregnant women, and children under 6 shouldn’t use the patch. An unpublished study of 37 men and women (mean age about 65) found that over 70 percent of participants who used the patch for chronic low-back pain got some relief. They wore it between two and three hours a day for two weeks. If you do try Energeze, don’t apply lotions or creams before you put it on (this will make it much harder for the patch to stick and will likely shorten the time you can use it). Each patch can be used for about five days, but “practically speaking, we see people wearing it for seven to 12 days,” Pachence says (a small percentage of people have trouble getting it to stick to their skin, a problem the company is trying to fix in the device’s next iteration). A box of three patches can be purchased online without a prescription for $29.95, and through some retailers, primarily in the Northeast, as well via some physical and message therapists, chiropractors, and spas. “This is particularly catching on with massage therapists. They say their [clients] feel like the results of their massage get extended” Pachence says. Cathy Schleining, 64, of Ashland, Ore., started using the patch after banging her shin into a cement planter. Previous articleCould Adult Stem Cells Have the Answer for What Ails You?